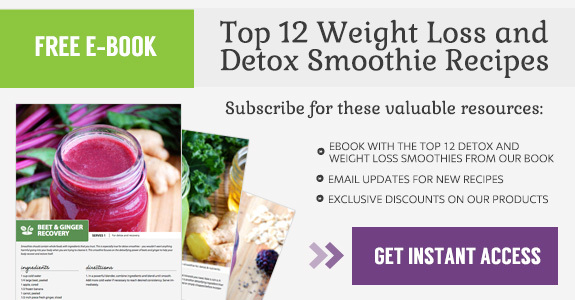 Alongside exercise, healthy smoothies can bring you one step closer to shedding those extra pounds. You can enjoy a sweet and creamy smoothie and fight belly fat and bloating at the same time. 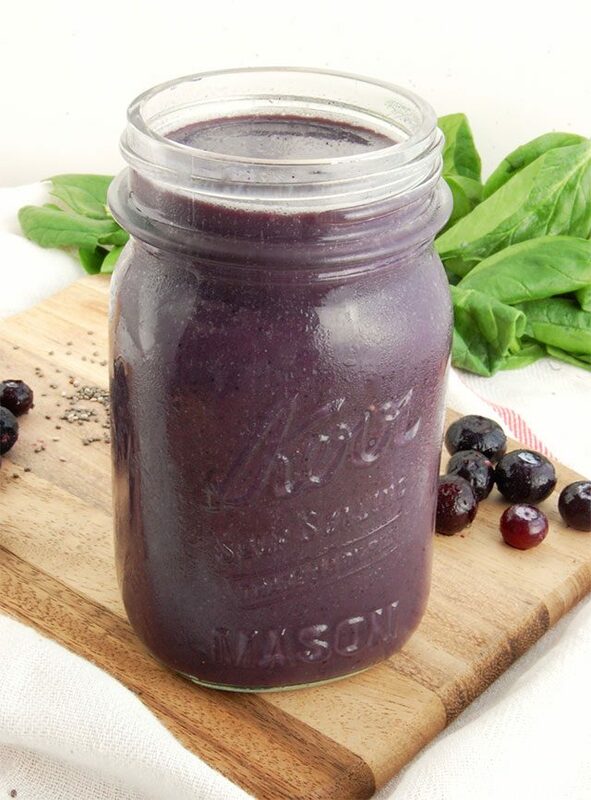 Pineapple and blueberries are the secret ingredients mixed into this delicious weight loss smoothie that will satisfy your sweet cravings. levels remain steady throughout the day. 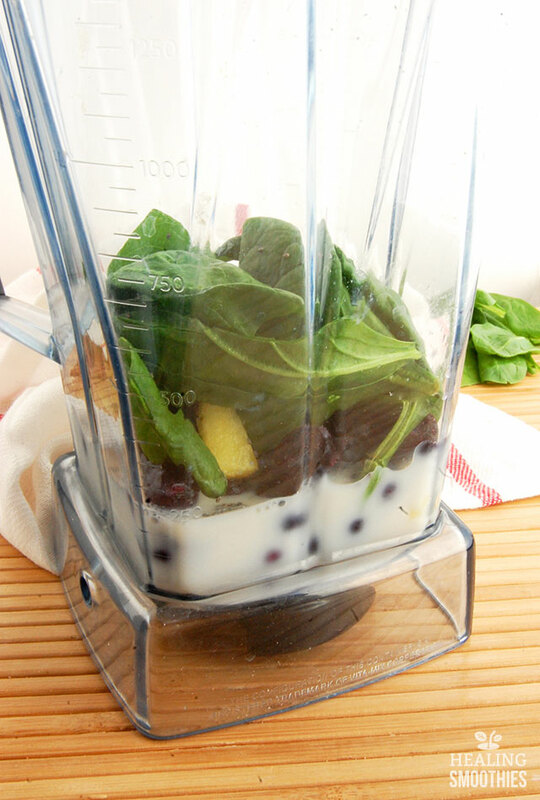 Weight loss smoothies start with a liquid base. This recipe uses kefir, a cultured milk product similar to yogurt. 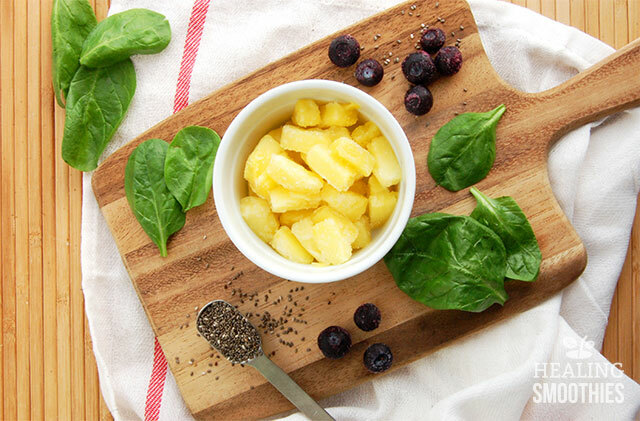 The tangy flavor balances well with the sweet pineapple and blueberry. The calcium and protein in kefir both aid in weight loss, and kefir’s high probiotic content ensures proper digestion. fiber as well, which will fill you up. 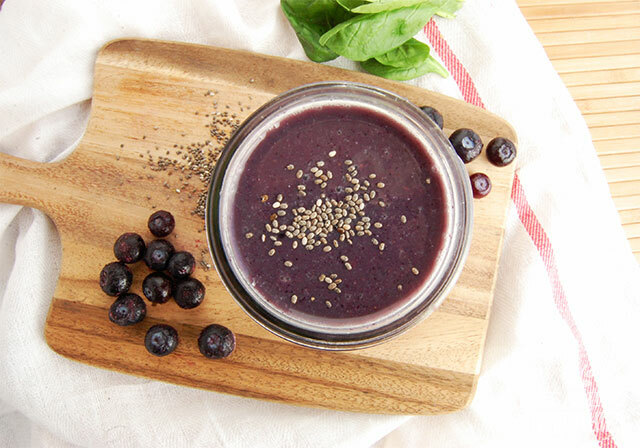 An extra source of fiber in this smoothie comes from the chia seeds and flaxseeds. Only a small portion is needed, but they provide a lot of nutrition for their size. Chia seeds supply omega-3 fatty acids (which improve heart health) and also contain protein. The omega-3s reduce inflammation and lower cholesterol levels. Flaxseeds, meanwhile, are rich in protein and lower blood pressure. You can take control of the ingredients in your smoothie to help with your personal weight loss goals. This smoothie is full of fruits, veggies, and seeds that are rich in nutrients and low in calories. They can aid in digestion and shed belly fat, and still taste great. 1. In a powerful blender, combine ingredients and blend until smooth. Add ice cubes if necessary to reach desired consistency. Serve immediately. I’ve niticed that some of your weight loss smoothies call for kefir. What would a good substitute for this that is more easily available be and would the quantity used be the same? Thank you.